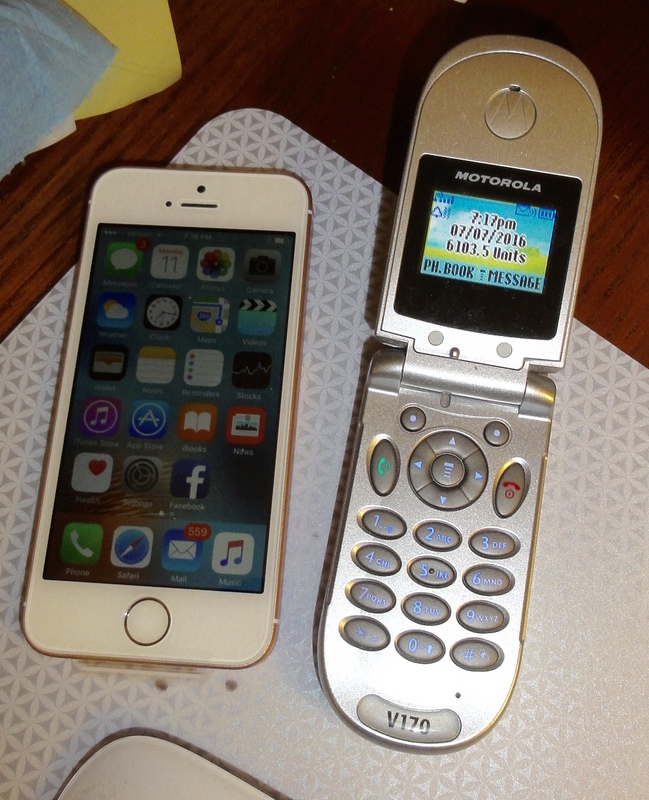 I traded in my old flip phone for an iPhone SE. I don’t know what took me so long. from which I can write and post to this blog, yet I haven’t posted anything for a couple of months. Since you last heard from me, I sold my Lendrum folding wheel and bought a Flatiron, the brand new design from Schacht. 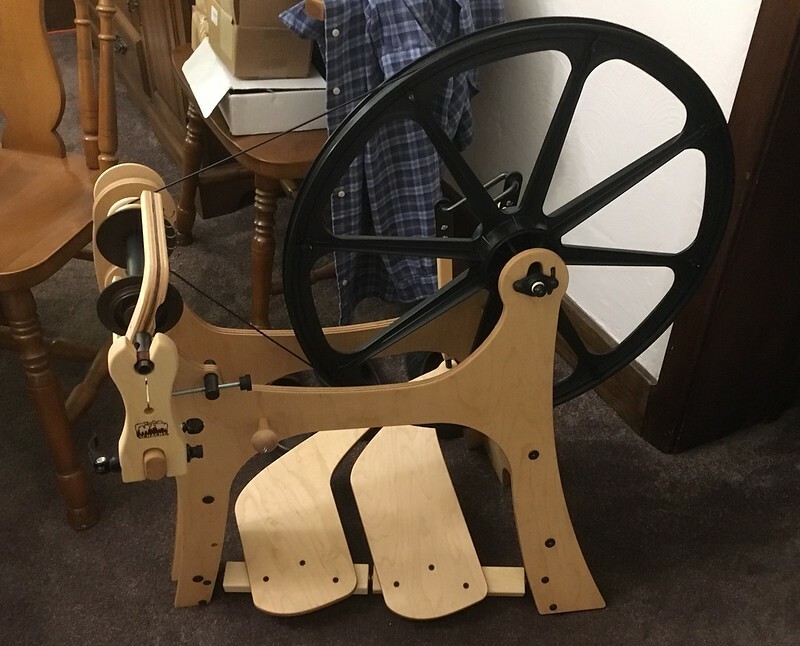 This is my very first Saxony-style spinning wheel, and I absolutely love it. 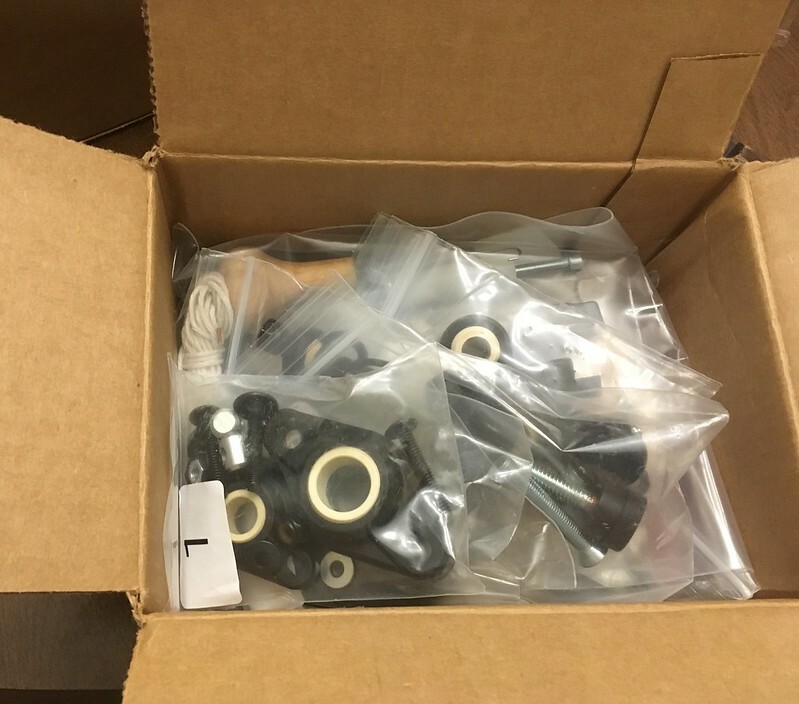 It comes in a flat box that is a size and weight that qualifies for USPS priority mail, which means it is inexpensive to ship. 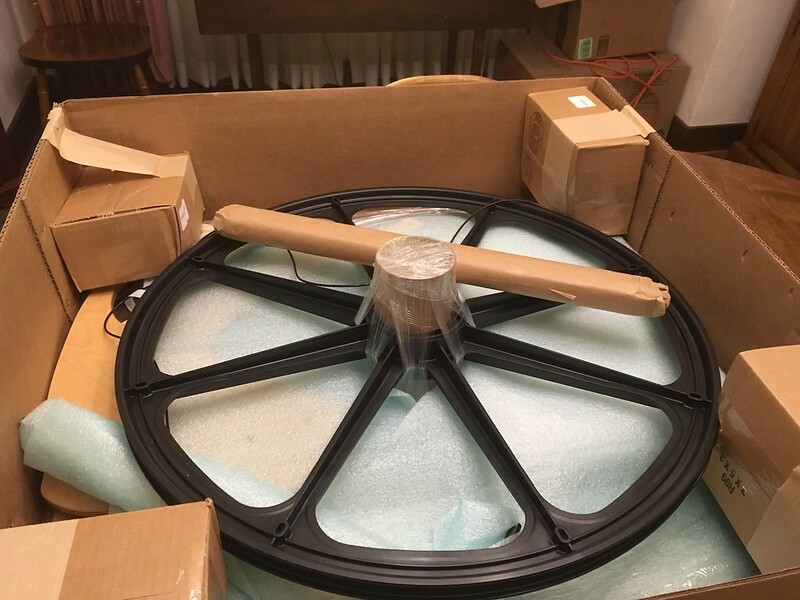 An entire spinning wheel fits in this box. The flat-pack feature means that the spinning wheel requires a lot of assembly. Fortunately, Schacht includes everything you need to assemble the spinning wheel except for a philips-head screw driver. With the help of the step-by-step manual that comes with the wheel and an assembly video on YouTube, I was able to put the wheel together all by myself, well, except for screwing one of the bolts into a barrel nut. I needed the DH’s assistance on that because my fingers just weren’t long enough to hold the barrel nut in place while screwing in the bolt. Almost finished. It really helps to do the assembly on a table. I’m not what one would call mechanically inclined, but I didn’t run into any major difficulties putting this spinning wheel together. 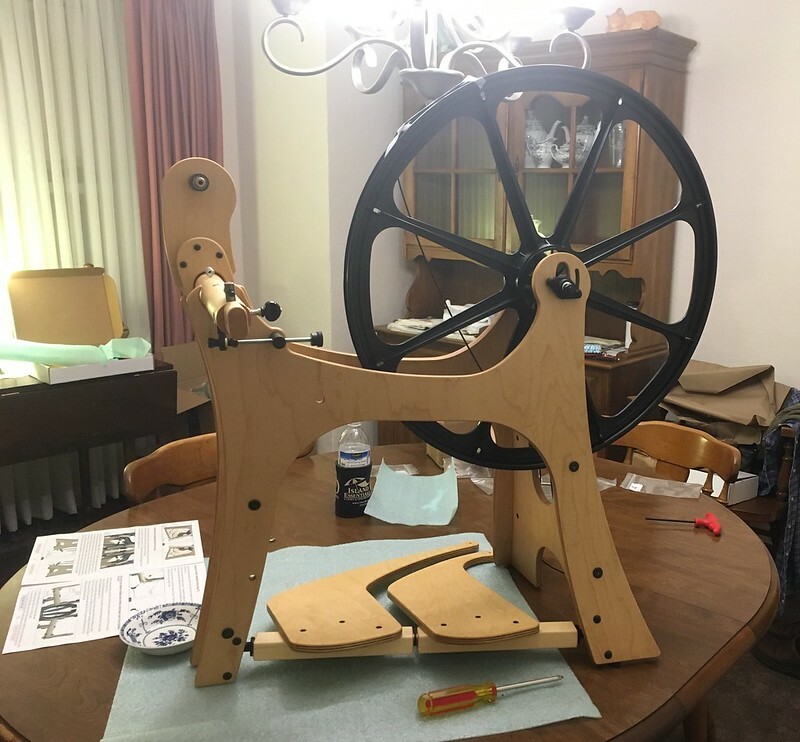 It took me a little longer than average; Schacht estimates assembly will take four hours, and it took me closer to five hours, but it wasn’t nearly as hard as assembling my Ashford Traveller was. One of the most innovative features of the Schacht Flatiron is that it can be assembled with the flyer on either the left or the right. Since I spin with my left hand forward, I put the flyer on the left. Many Saxony wheels are left-flyer only, but some companies will custom-make wheels with the flyer on the right. Of course, the most important part of this story is that the Flatiron came in a box. If you have a cat, you know why that is important. 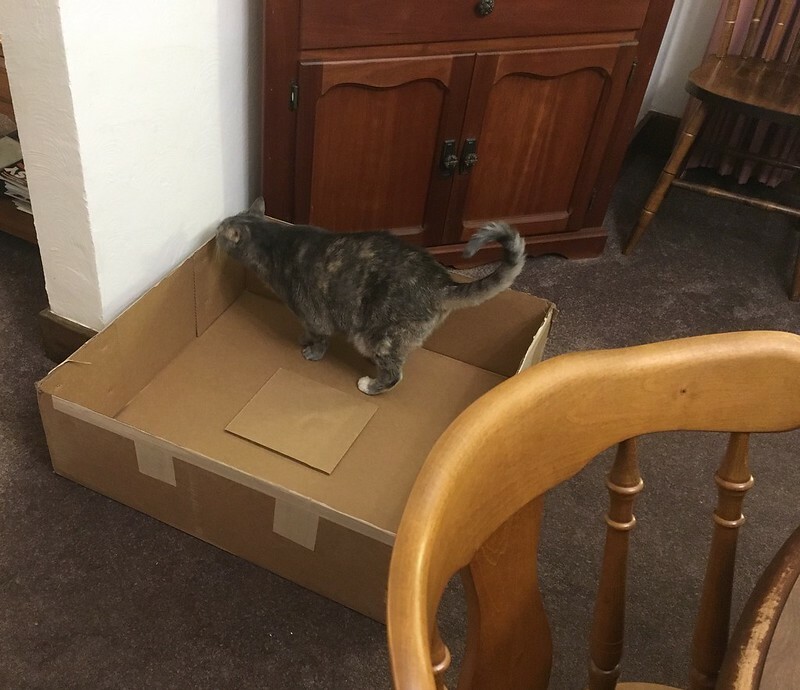 Siobhan says, Thanks for the box! Here are my spinning wheels standing in a row. Three of them are Schachts. The odd wheel out is my quirky but lovely Ashford Traveller. The Flatiron is a wonderful wheel. I love spinning on it. It’s fast and quiet, and the treadling is very light. And I am happy to report that I can treadle with just one foot. YAY! As for my now-departed Lendrum, she has found a new home where she will be loved and used. 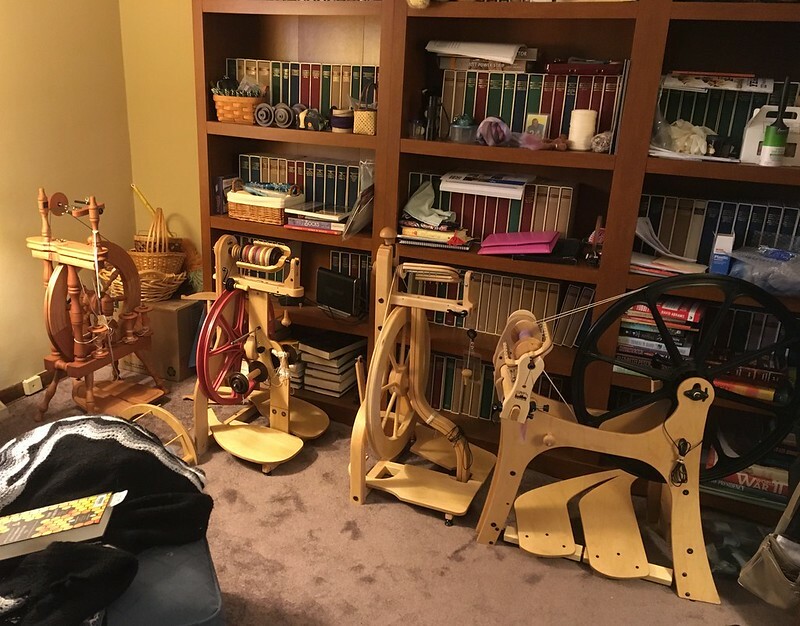 I have a lot of spinning and knitting to share, and I hope to get caught up in the next few weeks. We’ll see. This entry was posted in Spinning and tagged Schacht Flatiron. Bookmark the permalink.